If you love the freshest of food (and who doesn’t), be sure to treat yourself to a trip to York Region’s many farmer’s markets and farm stands. Just-picked produce tastes better than food shipped it from thousands of miles away. You can taste the difference! Less environmental impact – reducing shipping distance reduces your carbon footprint. Support for local farmers helps to maintain farmland in York Region. Know where your food comes from and the conditions under which it was produced. Enjoy the sense of community that comes with knowing local growers and producers. Make a day of it, and explore the bounty of produce to be found at our local farmers markets — fruits, berries, vegetables, meats, eggs, maple syrup, honey, locally made wine and even special treats for your four legged friends. Or dress comfortably, and take the whole family out to pick your own. Aurora Farmers’ Market located in Town Park on Wells Street, this Farmers’ Market runs indoors during the winter months and outdoors on Saturday’s from May 6 until October 28, 2017. All are welcome to join in our weekly community event, which features local farmers, bakers, artisans, and chefs. East Gwillimbury Farmers’ Market located at the intersection of Yonge St. and Greenlane in the Fieldgate Plaza, the Market is located at Market Square in front of Lone Star Restaurant and RBC . Join us at the East Gwillimbury Farmers’ Market, every Thursday, May 25 -October 5, 2017 from 2:00 pm to 7:00 pm. Enjoy local fruits, vegetables, perennial, eggs, meats, cheeses, baked goods, honey, sauces, preserves, soaps, artisans and much more while supporting our local businesses. Georgina Farmers’ Market located at the Link in Sutton, 20849 Dalton Rd, Georgina, will take place every Sunday starting on July 3, from 9 am until 2 pm. The Georgina Farmers’ Market will feature more than 30 vendors offering a wide range of local products including produce, meats, baked goods and crafts, all from local vendors. Main Street Markham Farmers’ Market located at 132 Robinson Street (Markham Road, 2 lights north of Hwy 7 on Robinson street), every Saturday from 8 am – 1pm, May 13th – Oct 7th, 2017. The Farmers’ Market of Markham Village captures the good old fashioned traditions of the past. The “turn of the century” look of our market is enhanced by a charming venue, complete with old fashioned signs and canopies. 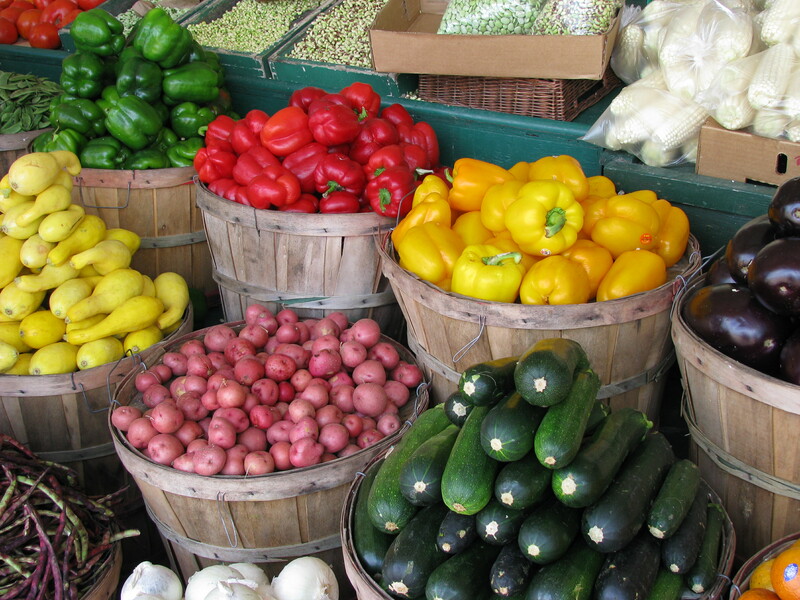 Unionville Stiver Mill Farmers’ Market located at 9 Station Lane in Unionville, will run on Sundays from 10 am to 4 pm, from June 25 until October 9. Stiver Mill Farmers’ Market in Unionville, Ontario offers the best local fruits, veggies, meat, baked goods, crafts, entertainment, and the market grill. Newmarket Farmers’ Market located at the Newmarket Riverwalk Commons takes place every Saturday from 8 am until 1 pm, from May until October. Every Saturday Morning from the first weekend in May to the last weekend in October, a band of farmers, vendors and volunteers create a hive of activity reminiscent of the town’s early years as a new market. A place to buy farm fresh produce, home-made baking, hand-made crafts and a great place to meet up with friends over breakfast or lunch. Richmond Hill Farmers’ Market located at Hillcrest Mall will be running on Sundays at 9:30 am until 1:30 pm, from May 14 until October29, 2017. Woodbridge Village Farmers’ Market is a friendly, big hearted market located on the northwest corner of Hwy #7 and Islington Ave., at the Woodbridge Pool & Memorial Arena parking lot. The market runs every Saturday, rain or shine, between 9am and 1pm from June 17 until Thanksgiving, October 7, 2017. Don’t forget to check out the 2017 Farm Fresh Map and the 2017 Pumpkin Pie Trail Map!